The world today is permeated by invisible waves that confer the ability to communicate, share, download, upload, invade, spy and monitor. In other words, so much depends upon it and so much happens within it. As a result, it would be nice if people could see it for once. That’s the idea behind “Digital Ethereal”, a project being led by artist and researcher Luis Hernan of the University of Newcastle in the UK, that seeks to give visual representation to this invisible world. 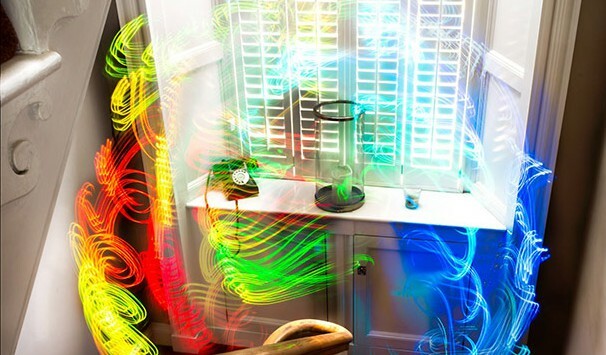 By using different colors of light – red, yellow, green and blue – he was able to reveal the different strength of Wi-Fi signals in the world around us, showing the “ghost in the machine” as it were. He has called his device the Kirlian Device – named for Russian inventor Semyon Davidovich Kirlian, who discovered Kirlian photography, a technique for photographing electrical discharges, usually invisible to the naked eye. Quite simply, the Kirlian Device measures the properties of Wi-Fi signals in its immediate vicinity, and shows a corresponding color. Much like the color spectrum, red is at one end, indicating a strong signal, while blue is at the opposite end indicating a weak one. 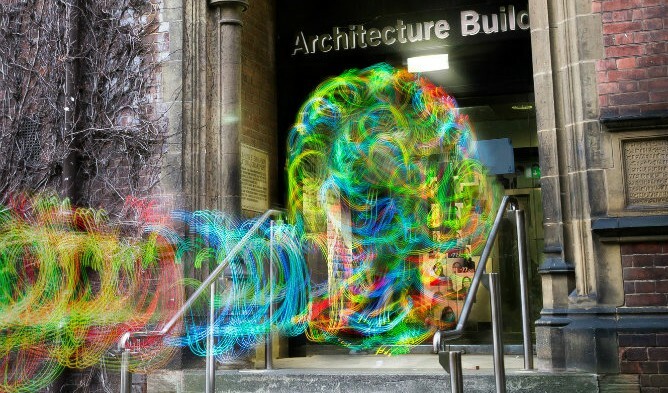 As Hernan moves around, he uses long exposure photography to reveal Wi-Fi “ghosts” – what he dubs “wireless spectres”. In this way, his project has a certain spiritual quality. In the same way, they undergo a process of gradual substantiation to become temporarily available to perception. Finally, they both haunt us. Ghosts, as Derrida would have it, with the secrets of past generations. Hertzian space, with the frustration of interference and slowness. For the purpose of his project, Hernan built his Kirlian Device out of an Arduino UNO board and Wi-Fi Shield which were connected to a strip of LED lights. But he’s also released a free Android app so that users can try it for themselves, and invited potential collaborators to drop him a line via his website. In the meantime, Hernan is currently pursuing his PhD with the Architecture and Interaction Design group at Newcastle University in the U.K.
That looks so cool! Now if only they could do the same thing with greenhouse gases. We’d see environmentalism on a worldwide scale! How much would it cost to rent one of those and let it film New York City’s carbon emissions for a day? Dammit! There goes my brilliant scheme to shut up climate change deniers!